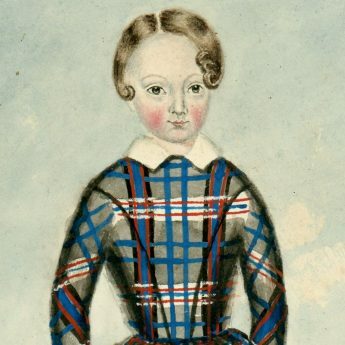 This rosy-cheeked child with curled hair is most likely a little boy. 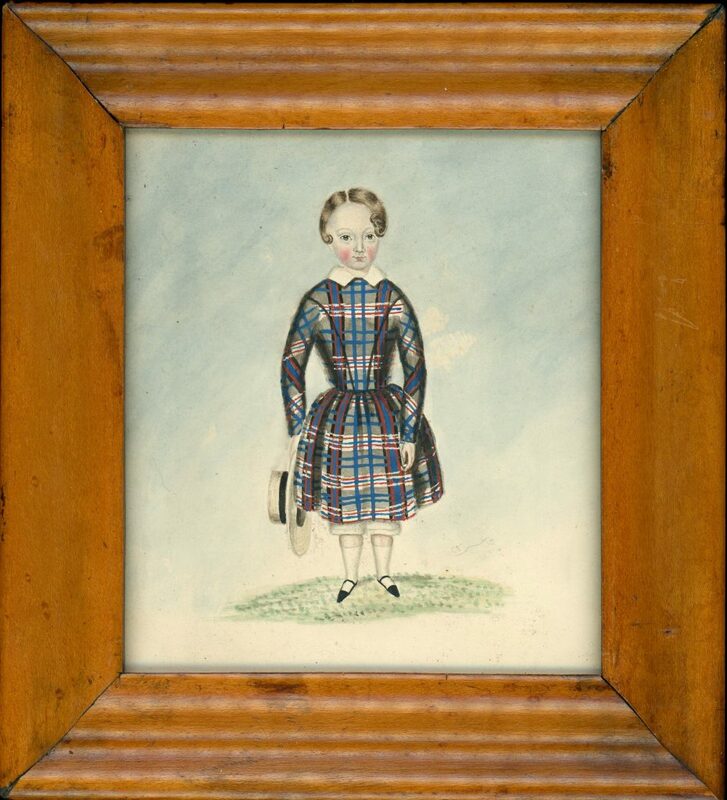 Holding his straw boater, he is wearing a colourful checked dress with a white collar over white lace-edged drawers, ankle socks and pointed shoes with ankle straps. The watercolour resides in a maple veneer frame.